The war against Islamic Jihad cannot be won on the battlefield alone – military victories in Afghanistan and Iraq were swift and decisive, yet Muslim radicalism and terrorism continues to thrive. No, we will not have peace with Islam until Islam reforms itself. And Islam will never reform itself unless we in the Western world stop coddling the dictators and “moderates”, and start promoting and supporting the reformers. One of Islam’s best-known critics-from-within (or formerly from-within, as he is now considered an apostate), is Tahir Aslam Gora. 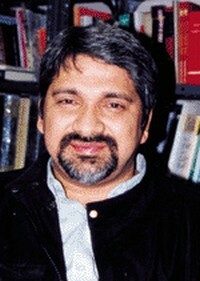 Featured previously on this blog as one of the subjects of Joan Leishman’s great March 2007 CBC report on the intimidation of moderate Muslims in Canada, Gora is a writer and publisher who fled to Canada from Pakistan in 1999 after being threatened with death for his reformist views. His persecution has continued in Canada ever since, including regular death threats and the shutting down of his Urdu-language weekly in 2003 after boycotts by suburban Toronto mosques. So let’s look at the real root cause of Islamic terrorism: Islam today. World leaders, in order to maintain religious harmony, claim that Islam is a religion of peace. But in fact there are several fundamental flaws in the teachings of Islam: gender inequality, intolerance of non-Muslims and limited personal freedoms (including freedom of expression and the creative arts). It is true that Islamic terrorism is staged by only a small percentage of extremist Muslims; however, it is also true that this terrorism is not strongly condemned by the majority of other Muslims.Progressive Muslim scholars claim that Islam has been ‘hijacked’ and that ordinary Muslims don’t support terrorism. If this statement is true, then why is Osama Bin Laden a hero in most Islamic countries? Walk on the streets of Pakistan, Sudan, Bangladesh, Indonesia, Somalia and many other Muslim countries and you will see the respect and love shown for Bin Laden and other leaders like him. This respect is not a result of illiteracy and poverty but of the way in which Islam is taught. This is why thousands of Muslim doctors, professors and other highly qualified professionals do not condemn Islamic terrorism.The world’s media and leaders need to focus on truly liberal Muslims who have the courage to demand real change to remedy the basic flaws of Islam. Those self-declared progressive Muslims who try to justify Islam as a religion of peace and tolerance are just making the situation more confused. There are many real liberal Muslim scholars who have been proposing changes to Islam for years, but their voices are constantly and deliberately being ignored by the media. If these voices start getting heard, perhaps they will change the traditional Muslim mind for the better. The final boldfaced quote above certainly rings prophetic now, in light of the UK’s Muslim Doctors’ Plot of the past two weeks. So why are their views deemed insulting to Islam? Because any questioning has almost been ruled out in Islam. Nobody dares to question sensitive aspects of Islamic history within Islamic scholarly circles. When intellectuals such as Rushdie, Manji, Ayaan or Taslima stand to ask questions, the Islamic establishment gets upset and abandons logic. They issue fatwas, resolutions and condemnations. Because they simply don’t have any answer. They have never been taught reason. They know only absolutism. The remedy for this absolutism is thousands of Salman Rushdies, Irshad Manjis and Ayaan Hirsi Alis across the Muslim world, shaking this totalitarianism. We will see real change in the Islamic world when progressive writers are recognized by the Muslim Kings, rather than being recognized only by the British Queen. Since we can’t control what is recognized by Muslim rulers, we can control what is recognized and celebrated by us in the free and modern Western world. With the entire world in the crosshairs of the Islamic nutbars, we owe it to the reformers to promote and support what they say. Writers like Gora, Rushdie, and Ayaan Hirsi Ali are the answer – without support from those with experience within the Muslim world, who can articulate the pathologies and expose the hypocricy, we’re never going to reach the “hearts and minds” effectively. Without them, it’s all just infidel propaganda. The source of the Terror is Islam. The problems are all within the Qur’an and the Hadith. Nothing has changed. It’s just nice to see more and more people becoming aware of the threat and standing up and pointing a finger. Again, with great respect, I think this idea that Islam can be “reformed” is wrong. Perhaps the very idea that religions can or should “reform” is so deeply ingrained in Western minds because of the “Reformation” in Christianity, and the Roman excesses that instigated them, and which themselves were pompous changes to the unified belief and practice of Christianity across cultures for the first 1000 years or so. Perahps these things have led us Westerners to believe that religions can legitimately be “changed”, or that they are democracies. But Rome and its rebels, the “Reformers”, could no more “reform” Christianity than I can change the colour of my skin. Authentic Christianity has not changed or reformed over time. Any “changes” have been instituted, frankly, arrogantly against the consistent witness of the “pre-denominational” Church. The same applies to other things as well: gays can *think* they’ve changed the definition of marriage, but they haven’t — and can’t. (They have managed to make moral and social outcasts of dissenters by their delusions that they have, and they have created an environment wherein children can deliberately be deprive of their biological parents, but that’s not only another story, it simply does not change what marriage is and is not.) Something doesn’t change its nature because we want it to, or want to believe differently about it. The same goes for Islam. The Koran is apparently not as mild in Arabic as it is in English. Islam cannot be reformed and remain Islam. The “immoderate” Muslims believe this too, and that’s why they remain in what our wishful thinking likes to call “militant” or “fanatic” or “extremist” or “Wahabi” Islam. And please, DIGG the news – and let the world know of this power hungry viscious Military Ruling that is going on in our country right now. Hi. I m sumbal shabir n i realy wanted to talk to u plz contect with me in that address. Mehro.lhr@hotmail.com. Plz cntct us soon if it iz possible n if u want.